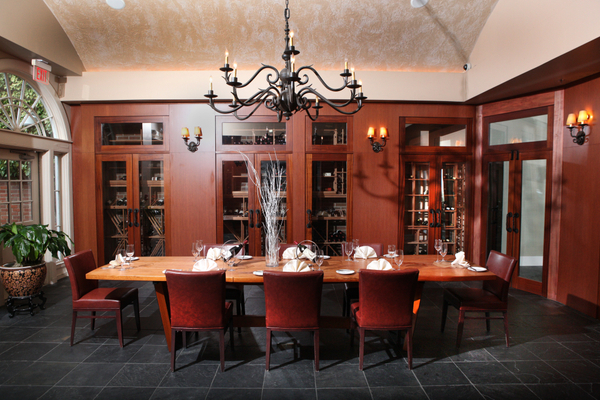 The Decanter Room features a large wooden table, extensive wine storage, dome ceiling and elegant chandelier. 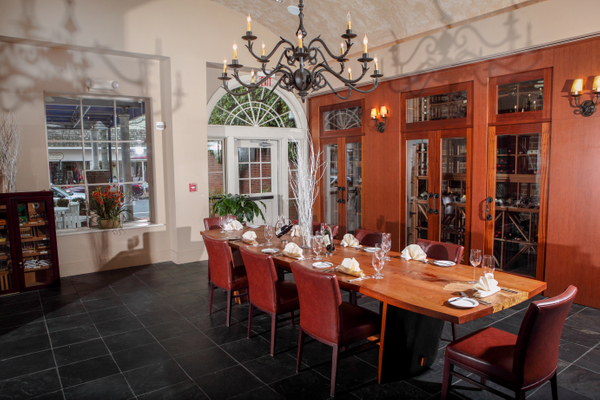 This private dining room is perfect for an intimate group lunch or dinner. Seating up to 26 guests. Limited menu is required for parties of 18 or more. Contact Carla Morgan, Hunters' Tavern Manager for more information - cmorgan@tidewaterinn.com. For more information contact the restaurant directly.